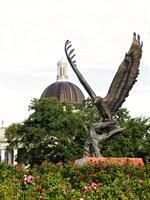 Event and Conference Services at Southern Miss is housed under the umbrella of the Union and Programs department, the Event Services office oversees the reservation and setup for events held in the Thad Cochran Center, R.C. Cook University Union and Hub, as well as, the first level of the Trent Lott National Center. Our beautiful, modern, versatile space and world-class catering services can accommodate your wedding, conference, business meeting, and many other special events. Whether large or small, one day or multiple days, educational or social, there is a location that will fit your needs. We welcome the opportunity to serve you and help make your event a successful and memorable experience! Contact our office for driving directions.